Dire Straits sung in their classic track, “Get your Money for nothin’ and get your chicks for free”, and Full Tilt Poker is doing there best to offer you the first part with their freerolls. Unfortunately, the Chicks part is up to you. 1 What is a Freeroll? 3 When are these Freerolls? A Freeroll is a tournament that doesn’t have a buy in a amount. It can be open to all comers, or it can be only open to a select group, such as a regional or private freeroll. 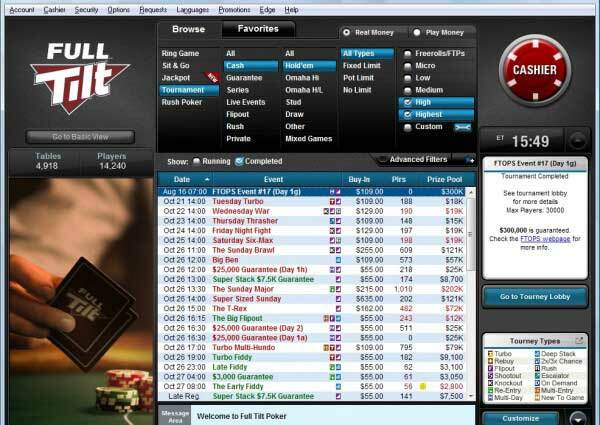 The prize pool is added by the poker site in order to entice players to play on their site, and it’s often used in sites marketing to make their site look more attractive to new players. The term “freeroll” essentially means you are given a “free bankroll”. You don’t need your own cash to win some. This is a great opportunity for players new to the game. Players often build or add to their bank rolls from these events, and they are usually full of bad players and value. When you make your initial deposit to Full Tilt, you get 10 tickets to use in this Series of $5k freerolls. They run twice every Sunday at 06:00 and 14:30 ET, and you can play both of them each week. This is an ongoing series, and you can keep playing as long as you have you still have a ticket. These events are only open to new depositors, and the majority of these players are going to be new to tournament poker. This makes these tournaments a great opportunity to increase your bankroll. The Schedule below runs everyday, and is split into 2 types of event. One set are open to everyone, and the 2nd group is limited by country. As you play at FTP, you will earn Full Tilt Points (FTPs) and one of the best way to use them at the lower limits is to play some FTP Buy In tournaments. 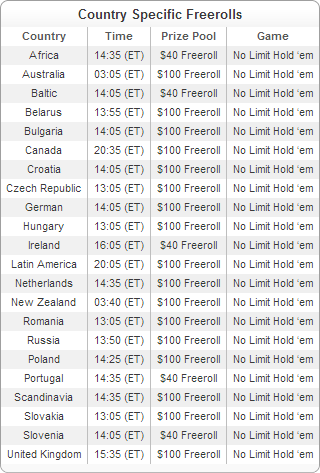 The 100 FTP events have a prize pool of $500 and run on a Saturday at 09:45 and 17:45 ET. You can buy-in directly with 100 FTPs or they can be satellited into for as little as 5 FTPs. The 100 FTP tournaments have a $500 prize pool, consisting of either Tournament Dollars or Ring Game Tickets. This type of tournament can be one of the best ways to use your FTPs, and can be a real bankroll boost for players who understand the tournament structure. Now you know where to find these freerolls, you want to make the most of the chance to get these free dollars. The maxim “Tight is Right” should be in the forefront of your mind in these events, and in the early stages, play your monsters really hard as you’re pretty likely to get called by junk. The other piece of advice for the early stages I would suggest you keep in mind is to know your enemy. This is easier if you use a HuD (such as poker Tracker or Hold’em Manager) but even without, you should be able to note the players who are calling nearly every hand, or raising or shoving nearly every hand. Against these maniacs, play your marginal hands strongly, and be prepared to stack off with top pair top kicker and other similar hands. As the tournament progresses, stacks will get very short. You should know your shove fold ranges, and be willing to shove over raises when you have between 13 and 25 big blinds left in your stack with a fairly wide range, especially near to the bubble. Players are less likely to call when they may go away with nothing, even though the only thing they’ve invested is time. 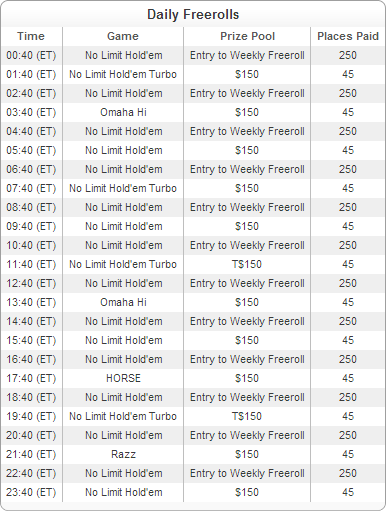 It’s possible to build a bankroll playing these events, and you will see some play that will curl your toes with it’s level of awfulness, but they are a good battle ground to help improve your shove/fold play, and make a little money while you do it. You can find much more on basic tournament play in the FTR forums. Once you’ve busted your tournament cherry with these freerolls, it’s time to venture out into the world of real money play. The world of real money play is split into cash (ring games) and tournaments. It’s worth exploring both to see which one you prefer, but if you’re new to poker it’s worth sticking to one until you are at a level where you are turning a profit.. Here at FTR, we have a whole forum dedicated to beginners, and I’d suggest that would be the 1st place for you to dip your toe into the waters of this massive resource. The next stops are either the forums for tournament poker, or the cash game forums. These cash game forums are split into Shortanded (6 players) and Full Ring (9 or 10 players). There is some basic advice when transitioning from freerolls into real money play. While you may have watched players like Tom “Durrrr” Dwan and Viktor “Isildur1” Blom raise almost any two cards, when you’re starting out, you should play a tight, yet aggressive game (commonly know as TAG). 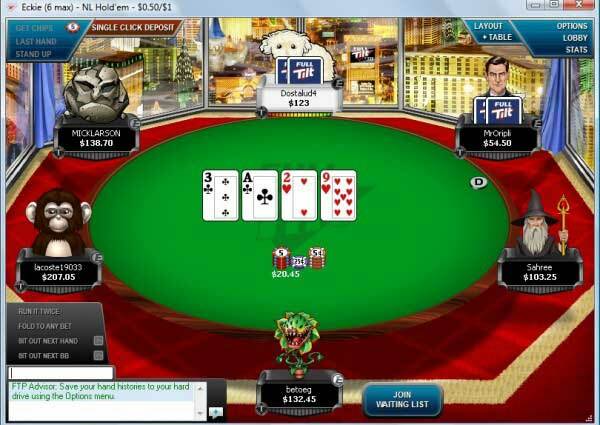 Be willing to fold most of your hands, but to play the hands you do play strongly, raising most of them pre flop, and only re-raising your strongest hands..
It’s also a really good idea to spend time studying your play after your sessions, and talking to other players about the lines you are taking in hands..
You can use the FTR Hand Converter to post your hands in our forums, and ask other players to look over your play. More experienced forum members can give you advice on particular spots, and help you improve your game. So, Full Tilt seems to want to give you extra money. All you need to do it download the client here, and set up your account. Either play the freerolls to build a bankroll, or play the $50k New Deposit Freeroll Series to add on to your bankroll, and take advantage of Full Tilts generosity, and maybe you’ll get that money for nothing. If you’re really lucky, maybe the chicks will follow?